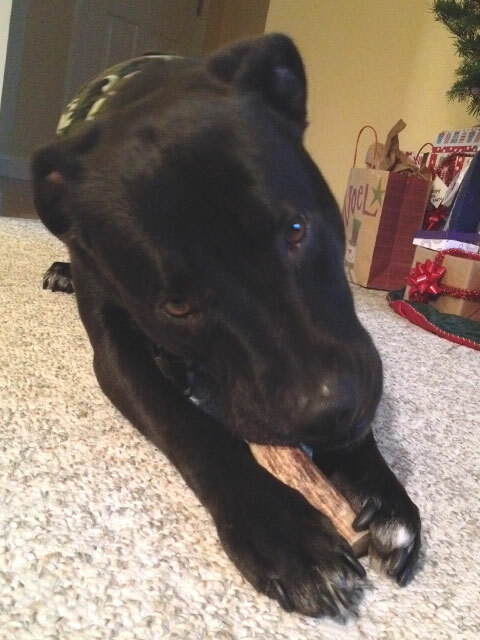 Antlers are a great toy for dogs that love to chew! Cost: At first glance antlers may seem expensive, but comparing to other chew toys these last much longer, so in the end they cost you less! 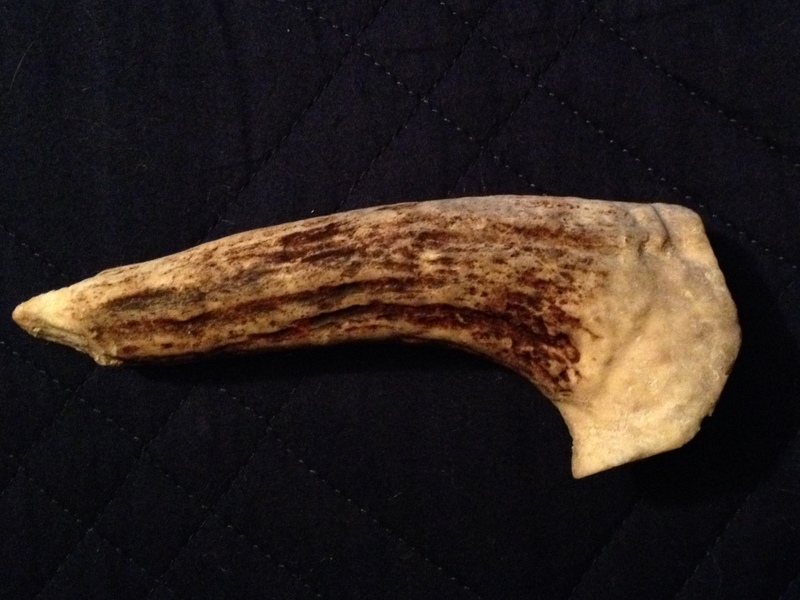 Durability: Acadia Moose Antlers are tougher then softer deer antlers. My dog, Bruin, has been chewing the same one for months! Depending on the level of chewer your dog is, there are many different varieties/sizes to choose from. From a teething Chihuahua puppy to an adult Newfoundland! Fun Factor: This isn’t a very interactive toy for owner and dog, but it will definitely keep your chewer busy! 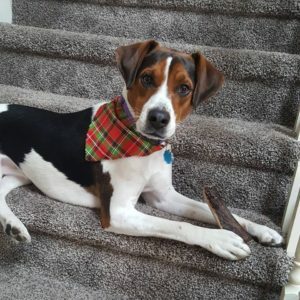 Dogs LOVE these things! Indoor/Outdoor: Could be used indoors or outdoors. They are not messy like other bones and if it gets dirty from outside just rinse it off! Bonus: Antlers have no odor, no calories and leave no mess. Made in the USA! Other providers of antlers are good as well.